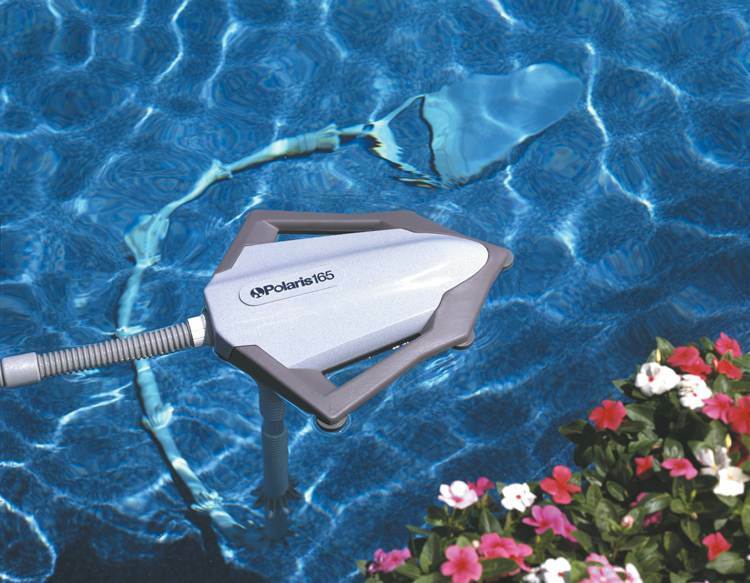 Polaris' best in-ground automatic pool cleaner for vinyl or fiberglass surfaces is powered by the pressure of clean water returning to your pool. 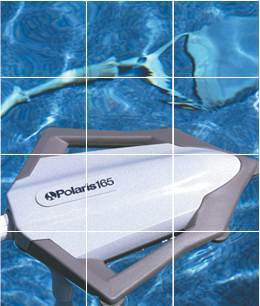 The Polaris® 165 operates with the pumps and filtration systems normally found on these pools and installs in minutes. The 165 uses a patented jet sweep assembly that blows water against the pool wall to loosen debris in hard-to-reach places even if the pool has an uneven bottom. An easy-to-remove filter bag removes any debris before it reaches your pump basket or filter.